IME is a layer related data-driven 2D and 3D interbed multiple model prediction and subtraction method based on a methodology extended from SRME (Jacubowicz, 1998). The user must identify a single interbed generator or generating zone and properly mute the input data to create 2 parts: the wave field generated by the multiple generator layer, and the wave field generated below this layer. In practice, the user can pick a pseudo boundary on a stack section, and mute the data along NMO curve. 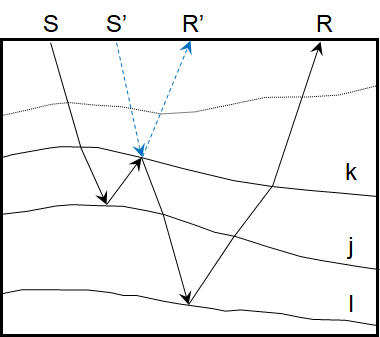 Interbed multiple attenuation at TGS is based on the approach of Jakubowicz.